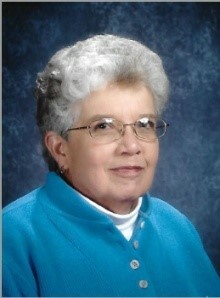 March 30, 1945 ~ February 20, 2019 (age 73) Barbara L. Gribble, age 73, of Barnes, WI, passed away Wednesday, February 20, 2019 at St. Mary’s Medical Center in Duluth, MN after a brief illness. Barb was born on March 30, 1945 in Tacoma, Washington, the daughter of Mark and Helen (Benson) Lowell. She was united in marriage to John Edward Gribble on May 3, 1969 at Bethel Lutheran Church in Madison, WI. Barb was a 1963 graduate of Appleton Senior High School and later a 1968 graduate of the University of Wisconsin-Madison with a major in Spanish. She was employed as a field director for the Girl Scouts of America in Muskegon, MI upon graduation. Barb later moved to Madison where she worked in a department store until her first child was born in 1972. When her children were older, Barb worked for many years for the River Valley School District as a teachers’ aide and library aide at the Arena Elementary School in Arena, WI and the River Valley High School in Spring Green, WI. Barb was active in her community as a Girl Scout troop leader, Cub Scout troop leader and school volunteer. At Christ Lutheran Church in Spring Green, WI and the Barnes Community Church in Barnes, WI, Barb was involved as a Sunday School teacher, usher, lector, deacon, council member, and Women’s Circle participant and organizer. Barb was a fantastic cook, baker, and crafter, and enjoyed cross-stitching, sewing, quilting, stamping, and gardening. When her children were younger, she enjoyed traveling and camping with her family. Barb was a wonderful homemaker, first in Madison, WI, and then in Arena, WI; she was a devoted wife, mother and grandmother. She is survived by her beloved husband of 49 years, John “Jack” Gribble of Barnes, WI; her children, Kristin (Kenneth) Houtler of East Falmouth, MA and Eric (Kari) Gribble of Arena, WI; her grandchildren, Torsten Houtler and Isabel and Benson Gribble; her siblings, Mark (Jan) Lowell of Franklin, MA, Sara (Marvin) Swanson of Saline, MI and Mike Lowell of Madison, WI; and many nieces, nephews and dear friends. In addition to her parents, Barb was preceded in death by her brothers, John and Jim Lowell. A memorial service will be held at 11:00 A.M. on Saturday, March 9, 2019 at Barnes Community Church 3200 County Highway N in Barnes, WI where visitation will be held from 10:00 A.M. until the hour of the service. Pastor Jon Hartman will officiate. Interment will be held privately. For additional information please call the Hayward Funeral Home at 715-634-2609 or leave your condolences for the family online at www.bratley-nelsonchapels.com. In lieu of flowers, memorial donations to support of camping experiences for girls may be made to the Girl Scouts of the Northwestern Great Lakes in memory of Barbara Gribble (http://www.gsnwgl.org/en/give/ways-to-give.html).